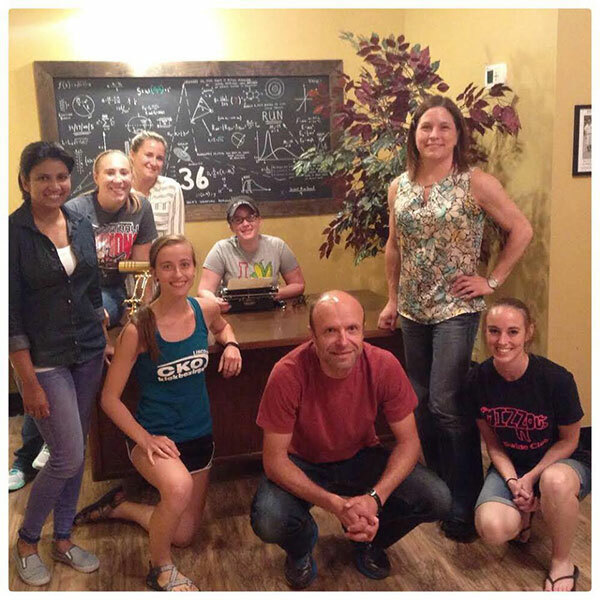 Escape room adventure, July 2017, with Dr. Ciobanu’s lab. 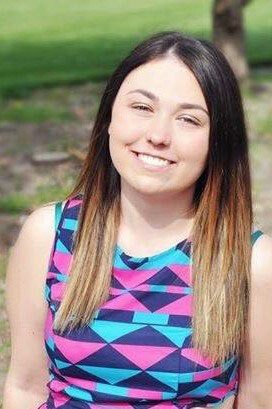 Rachel is from Omaha, Nebraska, and gradated form Nebraska Wesleyan University with a BS in biology in 2016. She played softball at NWU and still actively plays slow pitch. Rachel’s project is focused on understanding how ruminant livestock respond, on a genomic level, to heat stress and beta adrenergic agonists. In an initial study, the mRNA and small RNA transcriptome from blood and muscle samples of cattle supplemented with beta agonists are being evaluated. In a larger experiment, Rachel is evaluating the transcriptome of sheep under acute and chronic heat stress. 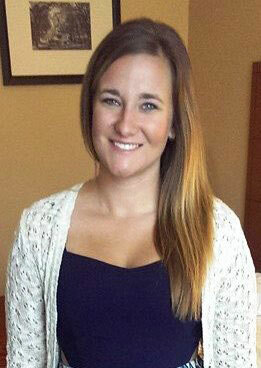 Erin grew up about 30 minutes from Chicago, Illinois, in the suburbs. She received her BS in animal science from the University of Illinois where her passion for research began. 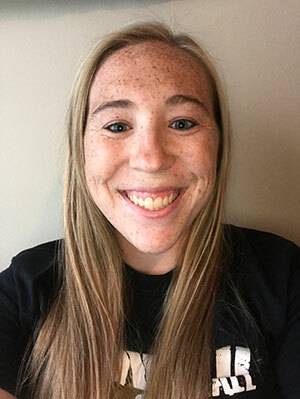 At UIUC, Erin worked on projects studying the development of intrauterine growth restricted infants using a neonatal piglet model and the maternal control of early embryonic development. 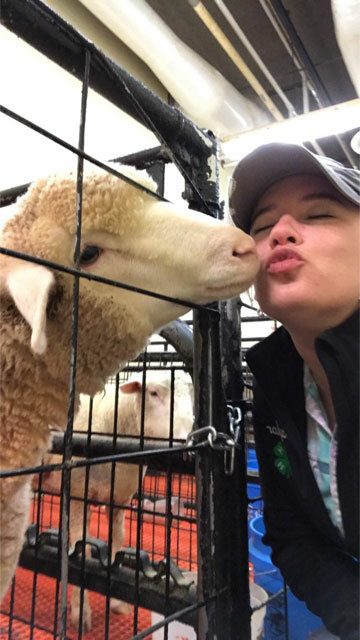 At UNL, Erin is working to identify alterations in the ruminant microbiome due to heat stress as well as diet supplementation and identify possible correlations with the transcriptome of the host. Morgan was awarded top poster in the junior class at the April, 2017, UNL Undergraduate Research Fair. 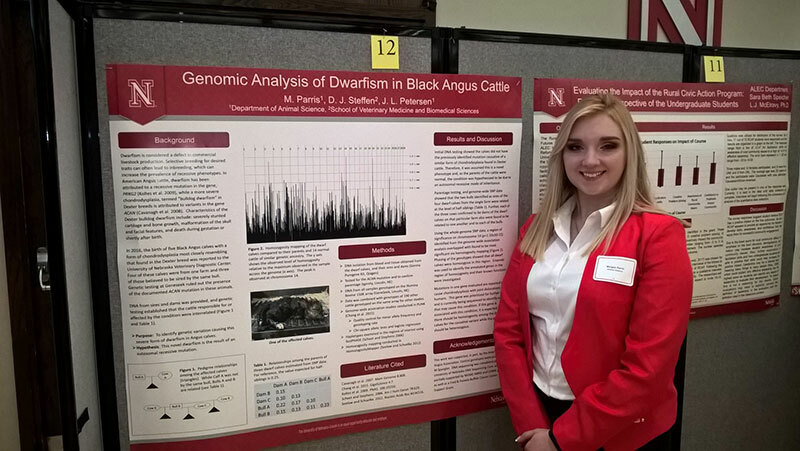 Her poster was titled "Genomic Analysis of Dwarfism in Black Angus Cattle.” Morgan is involved in DNA isolation and candidate gene sequence for a variety of projects in the lab. Isabel is working with MS student, Rachel Kubik, to examine dysregulation of genes in the adrenergic pathway in the skeletal muscle of lambs fed beta adrenergic agonists. Shauna Tietze earned a BS in biology at Nebraska Wesleyan University and a MS in biology at Georgia Southern University. During graduate school Shauna studied the physiological effects of multi-stressor conditions on fish by analyzing respiration rates, hormone levels, and gene expression. Shauna plays a critical role in laboratory organization and management and leading the development of new assays. 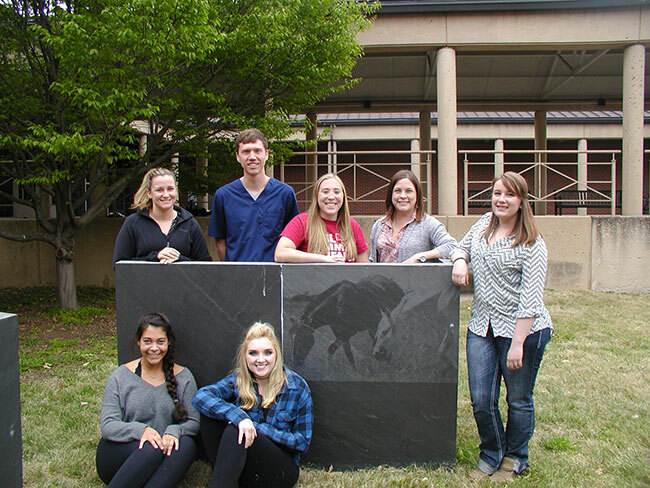 Caleb worked to identify altered methylation patterns in a gene involved in a myopathy of Quarter Horses. Current Position: Veterinary student in the UNL/Iowa State University program. Sara's MS research focused upon identifying differential expression of transcripts in cattle with a persistent infection of bovine viral diarrhea virus (BVDV). To do so, Sara used RNA-sequencing of healthy animals and individuals infected with one of three strains of the virus to identify how gene expression changes as a result of infection. Maci worked to identify genomic regions of selection associated with EPD values in beef cattle bulls. 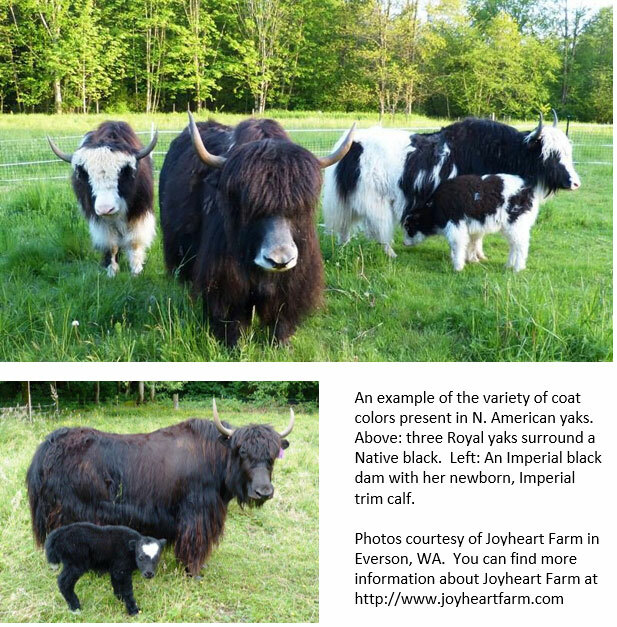 Michele Gibbens – BS Animal Science (2014) Michele worked to sequence a candidate gene for coat color patterning in yak (see Current Research – Mapping in Yak). Ryan Hagenson –BS Biochemistry and Molecular Biology (Nebraska Wesleyan University) Working in our lab over the summer of 2014, Ryan worked to write computer scripts to identify gene networks that have been targeted by selective breeding in seven breeds of beef cattle. The focus of the Animal Genetics and Genomics lab is to identify genetic variants that act to alter phenotypic traits and understand their mechanisms of function. Much of our work is focused upon understanding genetics of disease, but other works includes the study of traits such as muscle mass and coat color. Our current focus is to understand the genetic architecture underlying disease and muscle phenotypes to apply this knowledge to advance animal health within each species, across species (cattle <-> horse), and to produce information that may also benefit human medicine. Genetic studies of animals are exciting for several reasons. First, by learning more about how genetics influence individual traits, we can use this information to improve animal health and production. Second, because of the unique population structure of domestic species such as cattle and horses (breeds that represent nearly closed populations of animals all with very similar genetics, and with many highly related individuals), we have greater statistical power to map genes and mutations in domestic animals than we would studying diverse, outbred populations. Finally, the gene(s) that influence an animals' susceptibility to disease, their patterns of growth and metabolism, and things such as coat (hair) color, are often under similar genetic control to traits found in humans. Agricultural species such as cattle and horses are often overlooked as potential systems in which to study biology and genetics of human disease and traits. Our lab is contributing to this effort in a collaborative project with UC Davis, funded by the Grayson-Jockey Club Research Foundation, Inc., to collect and analyze data from two Thoroughbred mares to being to create an atlas of gene regulation in the horse. Tissues from these horses were collected in 2016. In addition to representing a significant biobank of rigorously phenotyped, healthy adult mares, select tissues are currently being processed for RNA and ChIP-seq. In addition to the Grayson-Jockey Club funding, individual labs have contributed to "adopt-a-tissue" to move the effort forward more quickly. Muscle mass is another focus of research in the lab – in both horses and cattle. While they are not a meat production animal in the US, horses have a tremendous amount of muscle and even more muscle mass per body weight than beef cattle. We are working to identify genes involved in the development and maintenance of this incredible muscle mass. Resulting information could benefit production animals and also yield knowledge that could help in the treatment of muscle disease. In cattle, a new project is focused on learning how supplementation with beta-agonists affects gene expression related to an increase in muscle mass. Working with muscle and stress physiologists, we will be examining gene expression changes as a result of beta-agonist supplementation. More information on the project will be added as it progresses. With the complexity of disease, none of this work can be thoroughly completed without involving experts in the field. We work with veterinarians, meat scientists, physiologist, and breeders to put together the most comprehensive studies possible with the hopes of having a true impact on animal and human health. Shivers is a descriptive term for a movement disorder in horses that is most commonly observed in large breeds such as the draft horses. Symptoms of the disease may be present as early as one year of age but can also manifest into early adulthood. 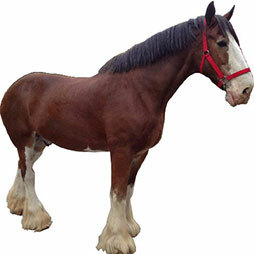 In the Clydesdale, the most common symptoms include difficulty backing up and problems when a handler manually lifts the horses' hind legs (such as for the farrier). Some horses may have a flexed and trembling hind limb when backing whereas others will extend their hind limbs and have difficulty taking even a few steps when moving backward. Occasionally abnormal limb movements are also seen with forward walking. When asked to perform these tasks it is common for the tail of the horse to elevate and tremble. Shivers is more common in tall, male horses although mares may also be affected. We have completed a genome-wide association study that included SNP data from 48 horses in an attempt to identify genetic markers associated with incidence of the disease. Several genomic regions were found to be of interest and as a result, the DNA from six horses is now being sequenced (full genome at 12X coverage) to query these regions for functional variants. The identification of genetic markers will provide breeders with a resource to use in making breeding decisions and also bring light to biological processes and genetic pathways involved in neuromuscular disease. If you are the owner of a Clydesdale that you suspect may have Shivers, please contact Dr. Petersen (jessica.petersen@unl.edu) for potential participation in our study. Infection from BVDV causes significant economic loss for cattle producers in the United States through decreased performance and increased veterinary and labor expenses1,2. A major reservoir and source of infection by BVDV is via cattle that are persistently infected (PI)1,3-5. PI calves are produced by in utero infection through a dam acutely infected by BVDV at a particular window of time during gestation, or by dams that are PI themselves. PI cattle are immunotolerant to and shed BVDV throughout their lives6. Voluntary BVDV control programs focus upon the removal of PI individuals to achieved desired levels of biosecurity and biocontainment. Accordingly, some feeding operations accept the expense of testing each animal upon entry to the feedlot. In 1996, a random sample of US herds found 4 percent contained PI cattle with 7 percent of herds evaluated in Nebraska having PI individuals5. A 2007-08 study found PI calves in 8.8 percent of US herds7; these animals are likely to infect a significant portion of their otherwise healthy herdmates1, compounding producers' loss. Studies on the genetic basis of susceptibility/resistance to BVDV persistent infection are limited although a genetic association with PI status has been suggested8,9; however, diagnostic and/or functional loci remain unknown. Our goal is to reduce the incidence of BVDV and facilitate its eradication by identifying genetic variant(s) that confer susceptibility/resistance to persistent infection. To do so, we are currently utilizing high-depth, next-generation DNA sequence technologies to identify variants in cattle associated with persistent infection by BVDV. The identification of genetic variants or other genomic determinants that influence infection will provide biologic information and genetic tests that producers can implement in production, resulting in an increase in resistance or reduced susceptibility to BVDV. Genetic and biologic information gleaned from the identification of genes and variants related to virus susceptibility would also have broad application to the understanding of the physiological response to known and novel pathogens. Hessman et al. Am J Vet Res 70:73 (2009). Larson et al. Bovine Pr 36:106 (2002). Grooms et al. J Am Vet Med Assoc 244 (2014). Loneragan et al. J Am Vet Med Assoc 226:595 (2005). Wittum et al. Prev Vet Med 49:83 (2001). McClurkin et al. Production of Cattle Immunotolerant to Bovine Viral Diarrhea Virus. Can J Comp Med 48:156 (1984). USDA APHIS Veterinary Services, Centers for Epidemiology and Animal Health. 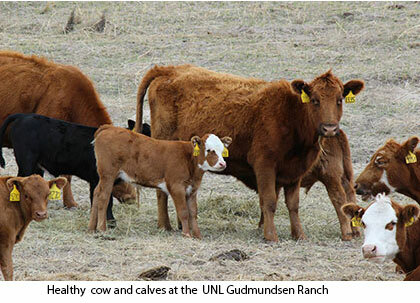 Persistent infection of calves with bovine viral diarrhea virus on US beef cow-calf operations (2009). Neibergs et al. J Anim Sci 89:907 (2011). Zanella et al. Front Genet 2:82 (2011). Yaks, native to Tibet, were imported to North America about 100 years ago. In the time since, ranchers have been breeding the animals for meat, milk, and fiber. The International Yak Association and various producers in North America are actively directing and contributing to genomic studies to benefit this species. As part of this effort, our lab is working to map genes involved in the determination of coat color patterns as well as fiber characteristics. Future work may also focus upon genetic factors influencing disease susceptibility. Progress in Yak Genomics: The USDA Meat Animal Research Center, in cooperation with the International Yak Association, and Intrepid Bioinformatics, recently released whole-genome sequence from a prominent female, Queen Allante. These data are being used as the basis for future studies to understand and manage the genetic diversity of the North American herd.